We have written a brief paper on how the sixth normal form relates to Anchor Modeling. We have submitted a paper on Anchor Modeling together with the University of Stockholm and the Royal Institute of Technology to the 28th International Conference on Conceptual Modeling held in Gramado, Brazil on 9-12 november 2009. More information about the conference can be found by clicking here. The submitted paper can be found here. We have released a toolkit for automating the generation of tables and collapsing views. The toolkit contains an XML Schema specification for anchor models, together with an XML file of an example model, and an XSLT translating the XML into an SQL Server 2005 script. The script sets up all tables with indexes as well as the latest and point-in-time collapsing views. We will continue our work on this “tool” in order to simplify its use. Please note that this toolkit has been deprecated in favor of the online modeling tool. We held a guest lecture at KTH/SU for the Data Warehousing and Relational Database Modeling classes. The Anchor Modeling technique was presented and contrasted against other types of modeling. We have made a “cheat sheet” which lists the most important features of Anchor Modeling. 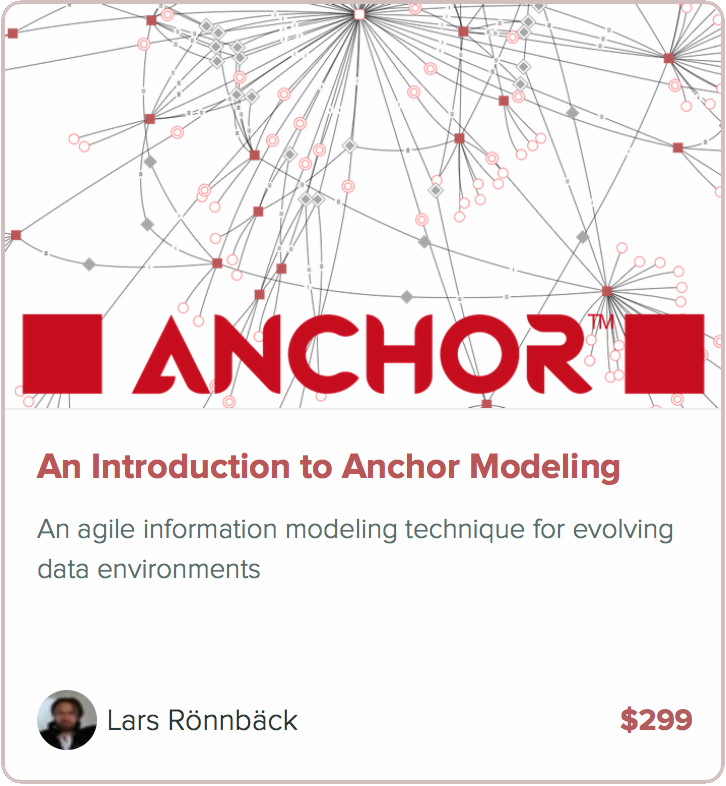 Together with DSV at the university of Stockholm the authors Lars Rönnbäck and Olle Regardt will write an article on Anchor Modeling. It will be published some time durnig the autumn of 2008. We have presented Anchor Modeling at the TDWI conference in Amsterdam 2007. Check out this link for more information.